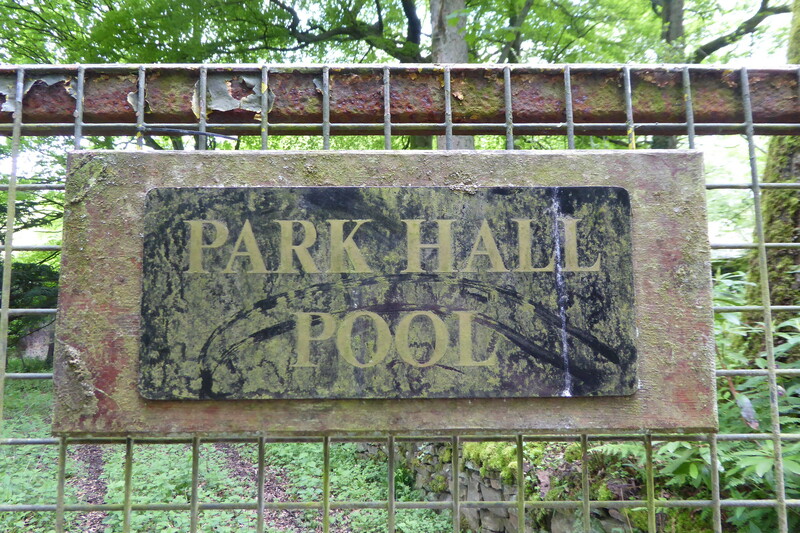 Park Hall Pool – not one of those mentioned below. Don’t say you didn’t think this one was coming. Especially not after an extensive blog post about how I track all the swimming I do. And, okay, I don’t record in my spreadsheet the swimming pool I did each swim at (yet! ), but I have a good memory. So here goes the first of a couple of posts about swimming pools. And we start with London where I lived in 2015, back when I started keeping a log of these things. And where I still swim every now and then thanks to work stays in the capital. And we begin with the borough I lived in between 2004 and 2016. Opened in 2005 not long after I moved into the SW19 area, and just a few minutes walk from my house, this was where I did most of my swimming for many years. The 25m pool had five lanes, and was lined with metal rather than tiled. The £52 a month membership fee I paid was certainly hefty, although the location was certainly convenient. There’s not a huge amount to say about it really. It was modern. It was probably the pool in the best condition that I’ve swam in in the last four years. And believe me, I spent a lot of time there. And it has a nice glass roof so you can swim on your back and look at the clouds. Or at those on the first floor gym pounding away on the treadmills. Not long after I left London, Virgin Active sold it and it’s now known as Nuffield Health Merton Abbey. A mere 20 minute walk from my house was a second Virgin Active branch that my membership also included. The main pool was on the smaller side, only 20m long with three lanes. I don’t think I ever bothered with it for serious swimming. On the other hand it had a lovely small pool. Oddly this was in a completely separate part of the building to the main pool. Most weekends I’d go there with Sam, my son who was – at the time – a toddler. We’d play with the toys and splash around, and he’d jump in from. Good fun would be had all round. Opened originally by Holmes Place in 1999, the pool is – alas – no more. It was closed in 2017 and the lease handed back to the council. With the council having their own facilities about a mile away, it has remained closed ever since. It looks set to be demolished and replaced with housing. Sad, but I’ll always have the memories of splashing around with my young son. We moved out of London in March 2016. But it would be another four months before our house was sold, and we moved into our new abode. In that interim period, we lived with the in-laws up north, and once or twice a month I’d pop to London for work reasons, and stay in old London gaff. Not much swimming got done during those visits. There wasn’t time. And besides, I’d quit Virgin Active. But on one day I did visit one of the council leisure centres, about half an hours walk away from the house. This was Canon’s Leisure Centre in Mitcham, run on behalf of the council by Better. In my mind it was the day the removal company had spent packing up the house into boxes, ready for everything to be packed into the van the next day. Although nothing on my swim tracking spreadsheet tallies with that, so maybe it wasn’t. Or maybe I forgot to log the swim. Either way, I remember walking down there. And I remember the changing rooms which were split by gender (as were the two Virgin Actives) for the lockers were in a communal area outside. So you had to get changed in one room, then lug all your stuff into another room. Strange design decision. It had a 25m pool with six lanes, and a smaller children’s pool. I remember a fair amount of wood on the ceiling, and light brown bricks. Slightly eighties looking. Which is not surprising as it was built in 1983. For much of my life, I have worked for the BBC. And the majority of my time working for the BBC has been at its offices in White City. So go figure why the Janet Adegoke Swimming Pool was visited at least once. The centre also wins my award for Most Cumbersome Leisure Centre Name. Phoenix Fitness Centre and Janet Adegoke Swimming Pool? It’s a clear winner. I first visited in April 2016 for a pre-work swim during one of my overnight stays in London after moving north. And I’ve used it several times since, when staying overnight for work reasons. It opened in 2006 and, frankly, is rather nice. It seems – and I could be wrong here – that it uses salt water instead of chlorinated water. Anyway, it’s a modern five lane 25m, with an adjacent small pool. It’s in good condition and always seems nice and clean when I visit. But it has one flaw. There’s a 20p locker charge. It’s not refundable. You put that 20p in the slot and you never see it again. If you are like me and regularly close your locker only to find you’ve forgot your goggles, well that’s 20p you won’t see again. This annoys me every time. EVERY TIME. Yes, even when I don’t forget my goggles. Run by Better on behalf of the council, there is probably one thing you’re wondering. Who is/was Janet Adegoke? Well, she became Mayor of Hammersmith and Fulham in 1987. And was the first black woman to be the mayor of a London council. She died of cancer that same year. The current pool replaced an older one that had been named in her honour, and the name continued when it was replaced. Here’s an interesting one. It’s a Virgin Active. But it’s also not a Virgin Active as it’s a council pool. Well, actually it’s both. In the same building, Virgin Active run both a private club and a public one for the council. They’re both called Fulham Pools. Because the whole thing isn’t confusing enough as it is. It’s a public/private finance thing. And that means there are two lots of facilities. One open to all. And one open to Virgin Active members. It even has two different kinds of membership. For £87 a month you can get full access to the private part of the building. Or for £22.95 a month, you can get full access to the public part of the building. That’s a big difference. Although whether the Virgin Active members get access to the public part of the pool, I’ve no idea. The duplication of facilities also means the building has three swimming pools. The private bit has a 25m six lane pool. Can’t tell you anything about it because I wasn’t a member any more when I went. What I can tell you is that the public pool is even bigger. It’s an eight lane 25m pool. And there’s a kids pool too. I only went once, when I was staying at a hotel about a 25m walk away. And I had a lovely swim. It was a great facility. Opened in 2002, it’s in good condition and if I was in the area, I’d go again like a shot. It’s also – interestingly – one of the cheapest pools I know. A swim costs £3.20. In contrast, Janet’s pool in White City (run by Better for the same council) will set you back £4.30. Plus that cursed 20p locker charge. Even my nearest pool in the Greater Manchester suburbs charges £4.00..
And finally, we come to a pool built for the Metropolitan Borough of Paddington and opened in 1927. It’s now owned by the City of Westminster, and run by Everyone Active. This is the Porchester Leisure Centre. Although the text above may make it sound like I’m doing overnight stays for work in London every month, I probably only do three, maybe four a year. And when I do, I quite often stay in a hotel near Hyde Park. It’s not the most glamorous hotel, but it’s perfectly fine. The rooms are clean and comfy, and it’s not noisy. There’s a reasonably good breakfast buffet. And it usually comes out as cheapest on the work hotel booking system. Plus they have “fitness facilities”. By which they mean a ten minute walk away at the Porchester Centre. They give you a voucher giving you free access, and off you go. And so I’ve been there three times. And I rather like it. The place is interesting. For starters, it’s rather grand. It’s Grade II listed. There’s art deco touches. It has London’s oldest spa, complete with a very rare Turkish Baths (alas the voucher doesn’t grant access to this.) The main pool – a 30.3m one with four lanes, is in a grand hall with a curved ceiling. A gallery runs around the side for spectators. There is also a 23m long secondary pool in a different area, but I’ve never been in it because why would you when you can go in the main event. Because I restricted this to pools visited since April 2015, there’s four more pools I’ve been to in London I haven’t gone on about. Two of them are Virgin Active branches at Barbican and Moorgate. The other two warrant a brief mention though. One is Tooting Bec Lido. It’s a crazy 91.5m long, and heated only by the sun. And I went there in 2011 and wrote all about it. The other is the Oasis Leisure Centre has your normal 25m swimming pool thing going on. But it also has a heated outdoor pool. And it’s in Covent Garden. Yes folks, there’s an 27.5m long outdoor swimming pool in Covent Garden! Believe me, you have to at least once in your life! It gets very busy in summer, so take my advice. Go on a snowy day. Seriously. It’ll probably be just be you and the life guard. You won’t freeze. The pool’s heated to a lovely temperature, and it’s absolutely great. That all said, some point in the future I’ll move on to pools in Greater Manchester. Bet you can’t wait.